If you are not familiar with the different types of emergency dental services in San Jose, it can be challenging and often times very overwhelming to find a dentist when an emergency rises. The good news is Emergency Dentists USA has made the search much easier and less stressful for you. We are a one-stop shop for emergency dentists, wherever the area may be. With one phone call to our 100% free referral service, you can get in contact with a dentist near you. Let’s face it, emergencies happen when we least expect them to. If you are in a situation where a dental emergency happens overnight or on the weekends, you can find quick relief through our referral service, 24 hours a day, 7 days a week! Emergency Dentists USA came through for me when I was in so much pain I could hardly talk. Thank you so much for finding a dentist open for me on the weekend!! San Jose is a largely populated region, which offers a variety of emergency dental services to help serve you in your time of need. If you are experiencing a dental emergency and need to be seen right away, Optima Dental is a great choice because you can call to get a same-day appointment, but they also welcome walkins if you do not have the time to wait for an appointment. After hours clinics provide better flexibility for patients who may work during the day and need evening times for appointments. Dentists Specialists Center, Optima Dental and Blossom Dental Excellence are listed below and are excellent choices for an after-hours dentist due to their extended weekday and some weekend hours. Although there are no 24-hour dentists in the San Jose area, Comfort Dental Group has Dr’s on call 24 hours a day, 7 days a week. 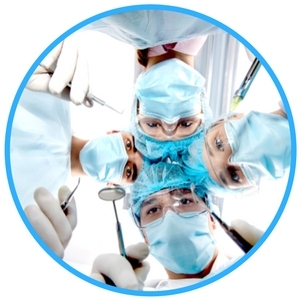 Your message will be reviewed by their doctors right away, and they are even able to open the clinic to perform emergency procedures if necessary. When you find that you or your loved one is in need of dental care beyond normal office hours, it’s a breath of fresh air to know that there are professional and trustworthy dentists available at a moment’s notice. Knowing where to go when you find that you are experiencing an emergency dental crisis can help make getting the right treatment in a timely manner much easier. That is why we have developed a comprehensive list of the available emergency dentists in the San Jose, CA region. Below you will find this list of the available 24-hour emergency dentists and after hour dental clinics near you. Description This is a San Jose CA emergency dental clinic referral service. We can find a dentist for you at night or even on the weekends, simply call our referral service number and they will facilitate an appointment with the next available San Jose emergency dentist near you. Description: This clinic is one of the top eight best San Jose Dentists and Specialty Centers in San Jose California. They are open 7 days a week including weekends, holidays and late evenings and provide complete dental and emergency care for children and adults. Description: This emergency clinic is open 7 days a week to take care of you in any dental emergency situation. Their state-of-the-art equipment makes them one of the leading technologically advanced offices in the Bay Area. You can call ahead of time to schedule a same-day appointment, and they also welcome walkin dental emergencies. Description: Blossom Dental Excellence recognizes dental emergency situations do arise, and they will do their best to get you in same-day if possible. If the problem arises when the offices are closed, their answering service will forward your message to the center’s staff for review. Description: This clinic specializes in taking care of their patients in emergency situations. After office hours all emergency calls will go directly to the doctor. He will return your phone call as soon as possible. If necessary, the office will be opened for an emergency visit once reviewed by the doctor. They also offer an in house Premier Dental Plan, which is a discounted fee schedule for most emergency dental services. Being prepared, even though you are experiencing an emergency, can always help to ensure things go smoothly. On an emergency dental visit, the dentists are equipped to see you in an urgent nature and have the ability and tools available to provide emergency care such as root canals, tooth extractions, and more. When preparing for your appointment, make sure to gather all vital and necessary paperwork for the new dentist, such as your previous dental or health records if you have them and your current insurance. This can all help to speed up the process when you arrive for your visit. Try to make sure you get there at least 15 minutes early to fill out any paperwork. Even though this is an emergency situation and you were not prepared ahead of time for it to happen, you need to be aware of the payment options and make a plan for how you will pay for any procedures or treatment. Lastly, make sure you tell the staff if you have any allergies to medications in case they need to prescribe anything to help you heal or prevent infection. There are numerous dental issues that qualify as an emergency situation such as damaged braces or wires, objects caught in teeth, soft tissue injuries, abscesses, toothaches, or a lost filling or crown. If you are experiencing an emergency dental condition after hours, a quick visit to one of the many available emergency dentists in San Jose can help provide you with care and treatment quickly. Below we discuss a few of these emergency scenarios, and some at home remedies you can try to alleviate pain. Any injury to the soft tissues in your mouth, such as your gums or tongue, can potentially be very serious. Ignoring a soft tissue injury can lead to increased damage and the risk of infection. One of the preventative steps you should take is to try to control and stop any bleeding. 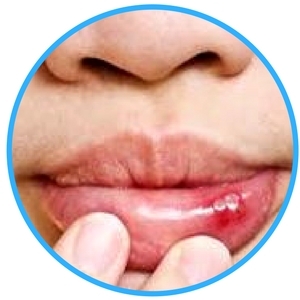 You can do this by using a salt water solution in your mouth and rinsing it around for a few moments. Additionally, a wet piece of gauze or even a tea bag can help when pressure is applied to the site. If you experience any pain, you can relieve it by using a cold compress on the cheek. If you notice that the bleeding isn’t stopping it’s important that you contact an emergency dentist in the San Jose area right away. A lost filling is a situation that you must have fixed as quickly as possible to ensure no bacteria gets into the open area. As a temporary solution to keep the hole covered, you can put a piece of sugar-free gum into the cavity or even dental cement that you can get at a local pharmacy. It is important not to use gum with sugar as this will only cause you more discomfort or even pain. Make sure you contact an emergency dental clinic immediately, after you have temporarily covered the cavity. You will want to get the cavity refilled as soon as possible to prevent any further damage to the tooth. 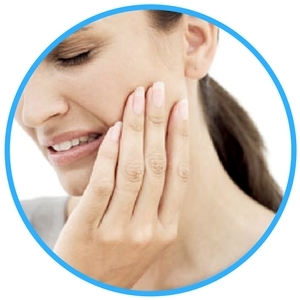 Even though the first sign you feel is the pain from a toothache, there are many different reasons for that pain. That’s why it’s important to get a toothache checked out by an emergency dentist as soon possible to help determine the cause. To help alleviate the pain until you are able to see a dentist, you can rinse out your mouth with some warm salt water. If you find that your mouth is swollen, apply a cold compress to it on the outside of the location in order to help reduce the swelling. When you notice something is stuck in your teeth, you can first try to carefully remove it with floss. If you are not able to get it out with floss, you will want to put in a call to an emergency dentist. Do not attempt to use a sharp object to remove any objects in your tooth as sharp objects can actually do more damage by cutting your gums or scratching your tooth. Going to a dentist to remove objects lodged in your teeth can help prevent any further injury, as well as ensure your tooth is cared for properly. If you’ve noticed that your tooth has been giving you some trouble, it may be time to see an emergency dentist in San Jose to have them examine the tooth. Some teeth that are decaying may be broken beyond what a dentist is able to repair. Teeth that become impacted and move out of the normal growing pattern the way wisdom teeth sometimes do, may require an emergency extraction as well. A tooth extraction is a procedure where a dentist removes the tooth from its position within the jaw bone. 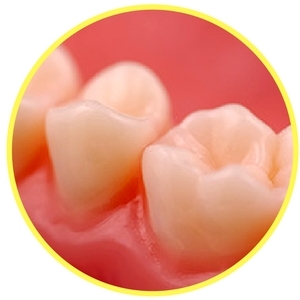 Some extractions may also be necessary to help prepare more room in the mouth for teeth to properly align. Putting a tooth extraction on hold can lead to an increased risk of infection or improper alignment of your teeth. If you are suffering in pain due to wisdom teeth, the only way to alleviate this pain is with an extraction procedure. Some tooth extractions can take place with only some numbing cream on your gums and teeth. However, most people choose to use a sedative like nitrous oxide to get them through the pain and discomfort of the extraction surgery. When your surgery is complete, there usually is some pain and swelling, which is a completely normal process of healing. Putting ice packs on the swollen regions can help to reduce facial swelling. Follow up this process by using a warm compress to help relieve any soreness. While the initial part of the healing process takes two weeks, the soft tissue and bone can usually take anywhere from three to six months to completely heal. Make sure you follow all instructions that you were given by your dentist as this will help to prevent any complications from occurring. When you have a dental emergency, it’s important to know which type of medical facility is your best choice for proper treatment. Dental emergencies should be handled quickly to ensure prevention of infections and loss of or permanent damage to any tooth. Some emergencies may require you to go to an emergency room for treatment. Conditions that involve soft tissues in your mouth, fractures, dislocations, or even some major dental infections might require a trip to your local hospital. If you already suffer from a chronic illness or immune system dysfunction, it might be most beneficial to your health to go to an emergency room for treatment. If you had any impact to your head or neck region, or conditions that involve difficulty breathing and swallowing, an emergency room is the best option for you, as these conditions need to be handled immediately. While emergency rooms are able to handle a plethora of injuries such as blunt trauma, a trip to the dentist may be better in terms of both treatment options and long-term follow up care. Dentists are specialist in the anatomy of the mouth and can provide you with a larger selection of procedures to help with your dental needs. Some emergency rooms may deny you medical treatment for a minor dental emergency such as a chipped tooth or a toothache and also going to an emergency room can cost up to five times more than going to a 24-hour dental clinic. While it can be difficult to determine where to go during an emergency, knowing that there are after hours dentist offices available can help provide you a wider variety of options. 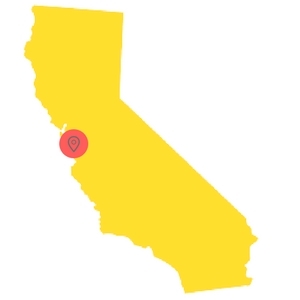 San Jose, CA is a large and populous city that features some of the most highly rated medical and dental offices. We have done our research and found some of the top after hours, walk in and 24 hour dental clinics available and have listed them above. If you do not have time to go through this list, or would prefer to make only one call, Emergency Dentists USA’s referral service has you covered. We are available to help 24 hours a day, 7 days a week with just one phone call! Before seeing any new dentist, it’s important to check with the California Dental Association to help verify all certification from the dentist that you are planning to see. You may even be able to find out additional information about the dentist by checking the Santa Clara County Dental Society website.